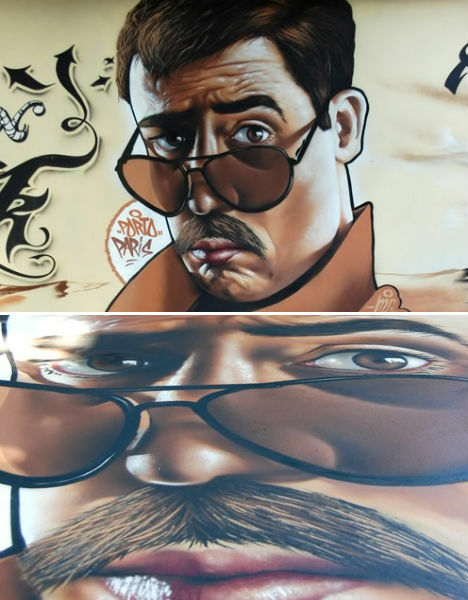 Recreating absolute realism in paint typically takes time, tiny brushes and a quiet, well-lit work space. 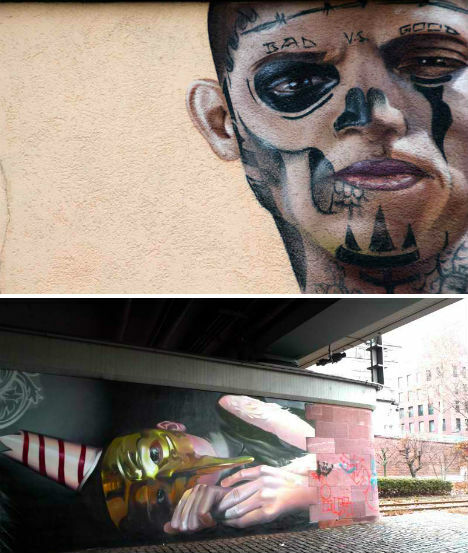 Those are three things that street artists don’t usually have at their disposal – and yet some of them manage to create large-scale paintings that look like they could be photographs. 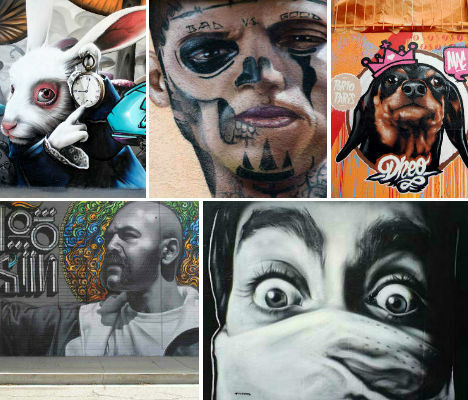 These 37 works of photorealistic street art by artists like Smug One, CASE, Mesa and MTO blend realism with stylized elements for creative results you just can’t capture with a camera alone. 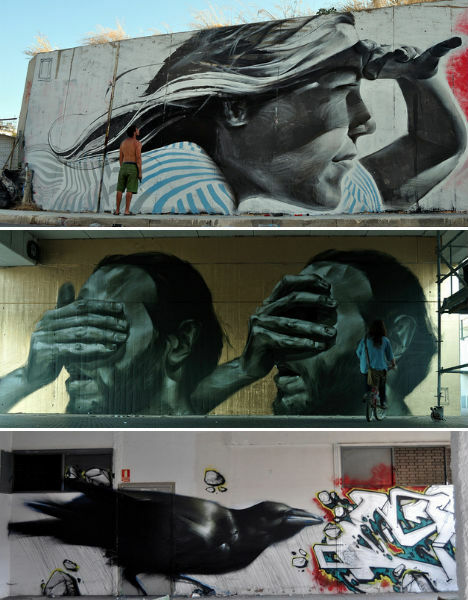 Graffiti artist and muralist Mesa of Barcelona, Spain is known for large, realistic, mostly black-and-white figures punctuated by bits of color. 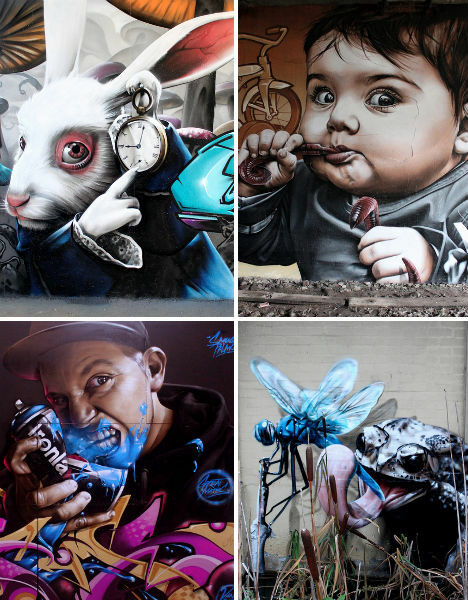 Mesa uses painterly brushstrokes to add detail to his human figures and animals. 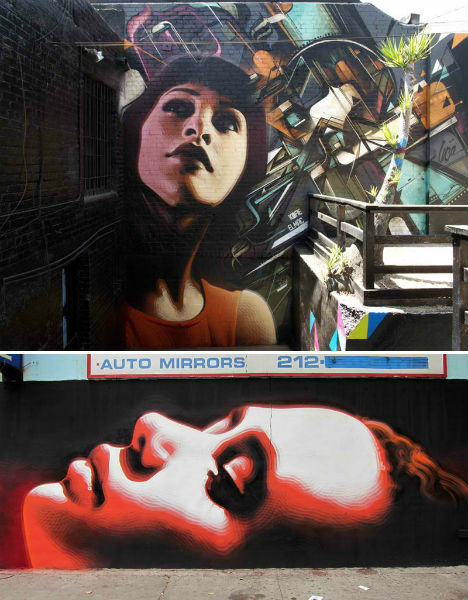 Some of artist Trans’ works are so incredibly photorealistic, it’s hard to believe that they were painted at all, let alone created with cans of spray paint. 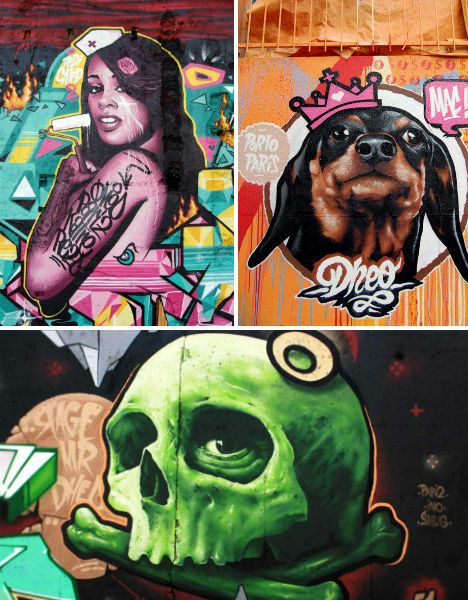 Trans’ talent really comes through in the eyes of his subjects, which are remarkably lifelike and nuanced. 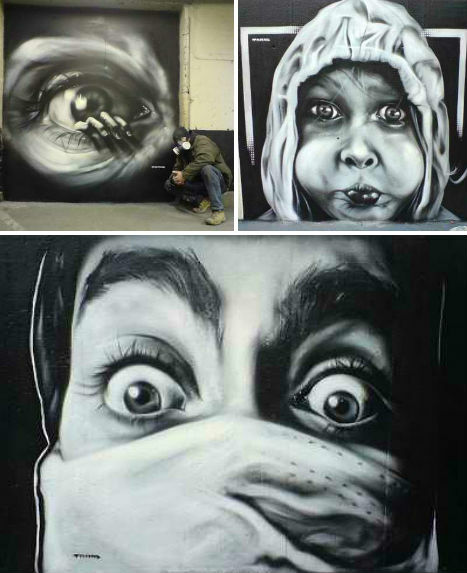 Miles ‘Mac’ MacGregor combined the classic European painting that inspired him at a young age with the contemporary influences of graffiti and photorealism into a signature style that has led to commissioned murals around the world. 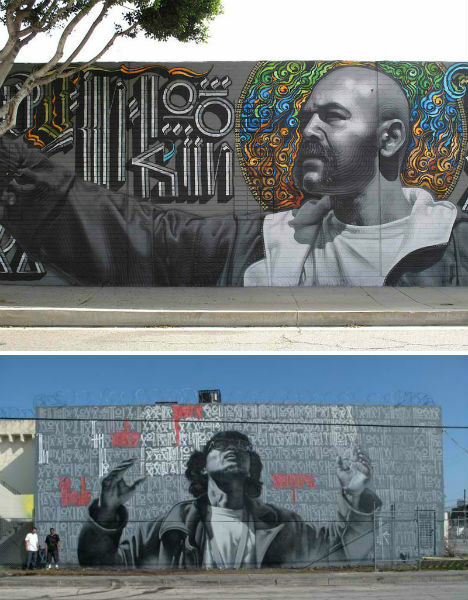 El Mac often works with fellow artist Retna, juxtaposing his own representational figures with the latter’s typography and graphic design. 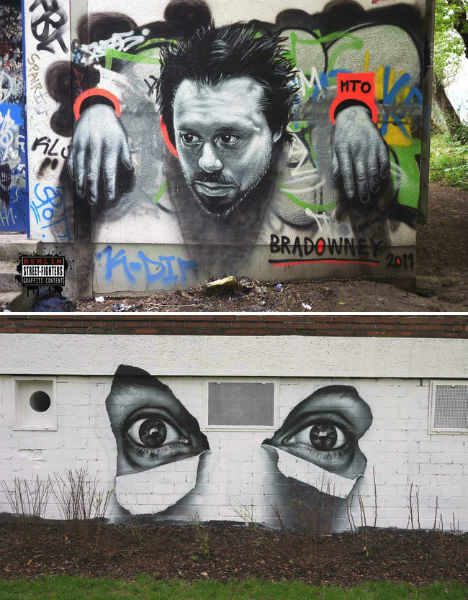 MTO of Berlin has made a name for himself painting large-scale portraits of pop culture icons, primarily in grayscale. 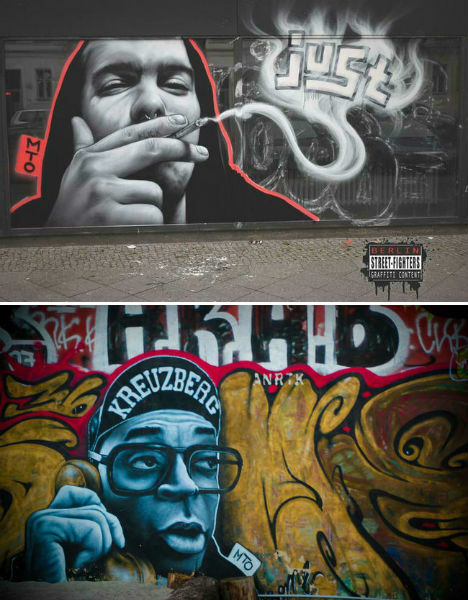 He did a series of movie characters in Berlin, including Jack Nicholson as Jack Torrance in The Shining, as well as a series of musical icons like Jimi Hendrix and Ray Charles. 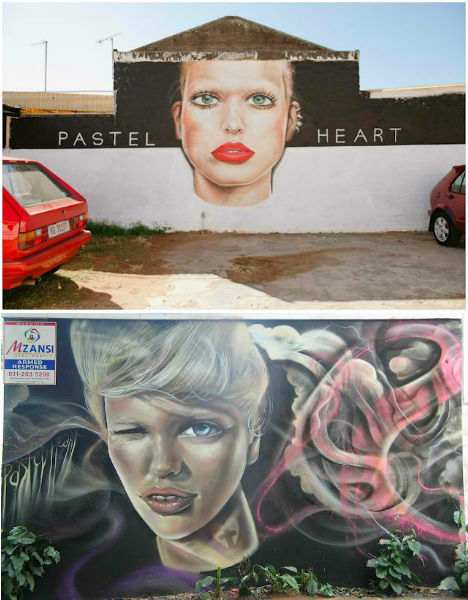 An artist of many talents and mediums, South African ‘pastel heART’ works in graffiti, tattooing, digital illustrations, chalk art, fine art, photography, styling and fashion. 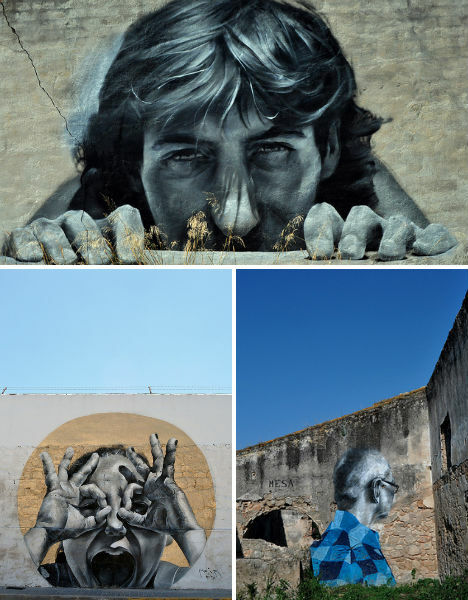 His large-scale murals are noted for their striking realism. 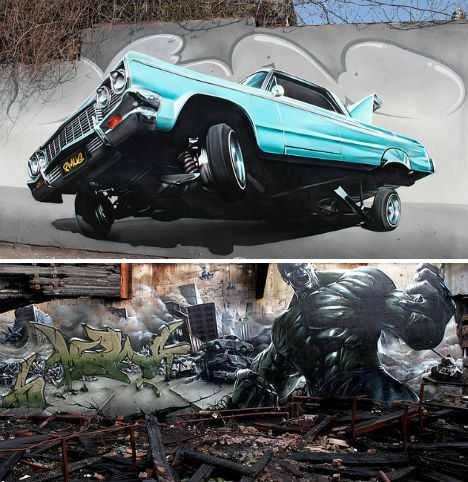 German artist Andreas von Chrzanowski – better known as CASE – creates beautiful spray-painted murals with all the complexity of oil paintings. 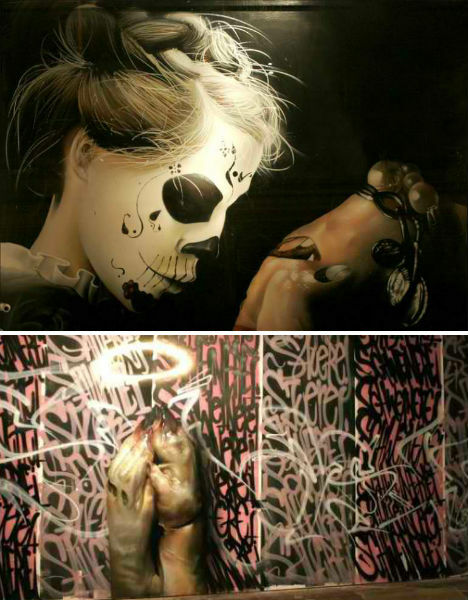 In fact, CASE often works in oils, displaying his art in galleries in Germany, the United States and the UK. 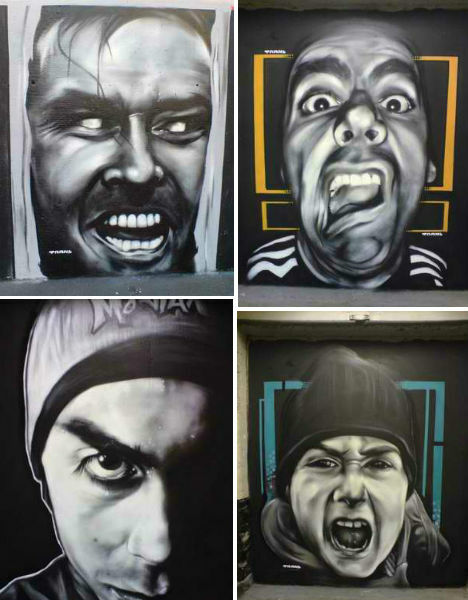 A founding member of graffiti crew Ma’Claim, which combines stylized elements with realism, CASE lives and works in Frankfurt.